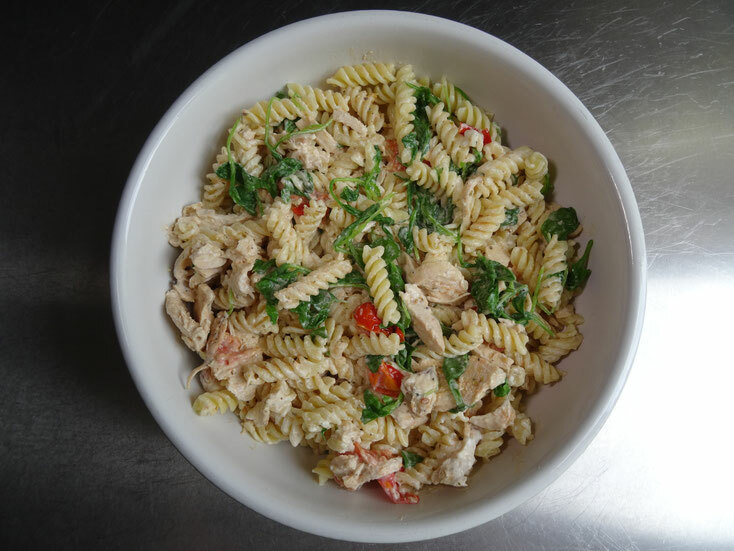 Filling & delicious, the combination of juicy chicken, cherry tomatoes & peppery rocket is just as good the day after eaten cold for lunch! Use leftover chicken if you have it. I like fusilli pasta because the rocket hangs on to it nicely but use whatever you have. 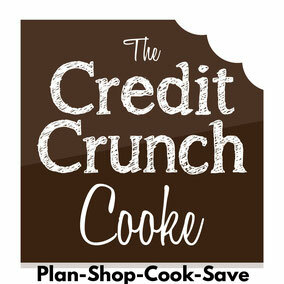 Prep time 5 minutes Cooking time 15 minutes or 45 minutes if you are cooking the chicken specially. 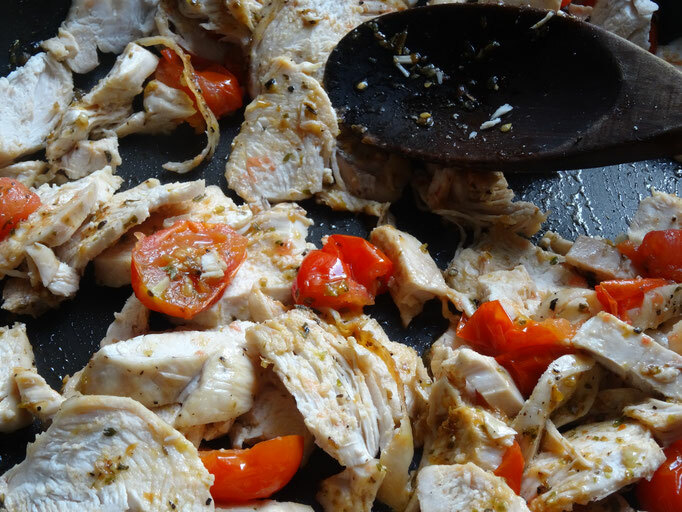 Place the chicken breasts in a roasting tin, drizzle with a little oil & season with salt & pepper. 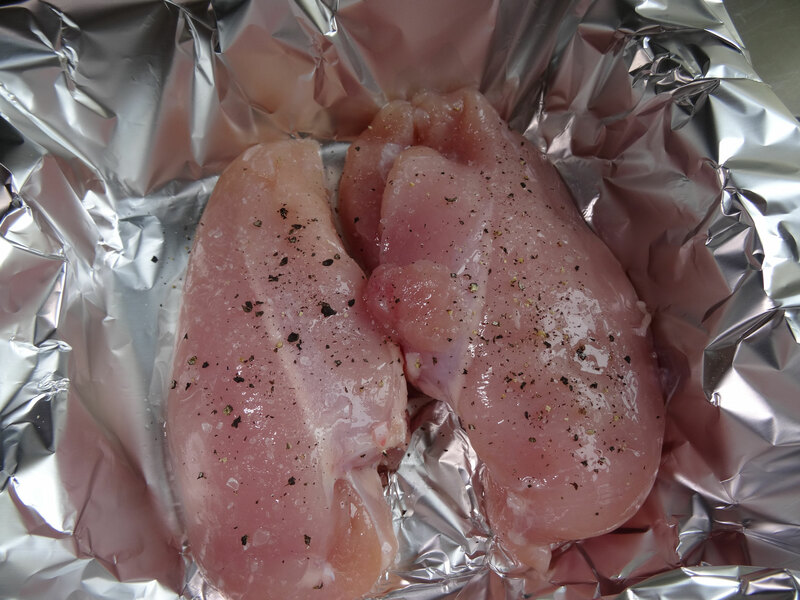 Cover with foil & roast in the oven for 30 minutes at 180Fan/200C/Gas6, removing the foil after 15 minutes. Set aside to rest. 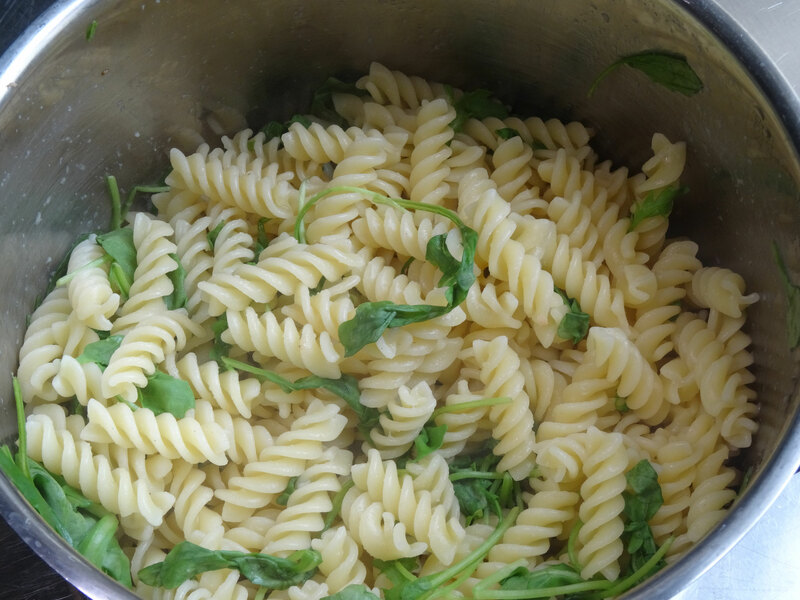 Cook the pasta in a large pan of boiling salted water for 10-12 minutes. Meanwhile place a frying pan with a tbsp oil over a medium heat. Cook the garlic for about 1 minute then add the tomatoes & oregano, salt & pepper. 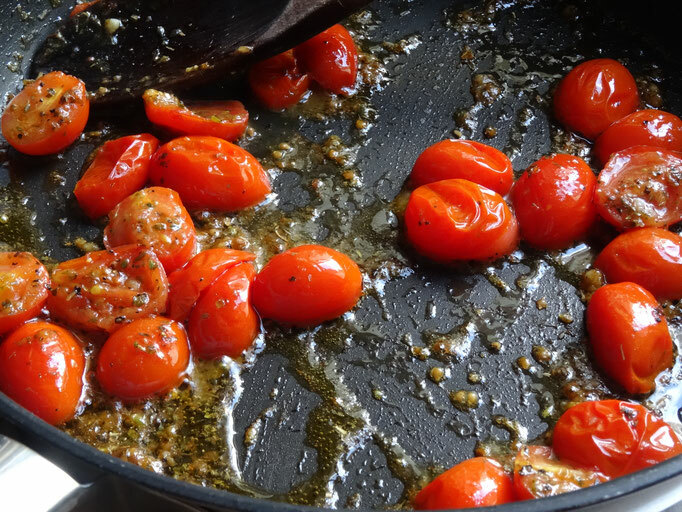 Cook for about 5 minutes or until the tomatoes start to break down. Add the chicken & stir. Remove from the heat. Drain the pasta & return it to the pan. Tip the rocket in with the pasta & put the lid on. Leave for a minute then carefully give the pan a shake. 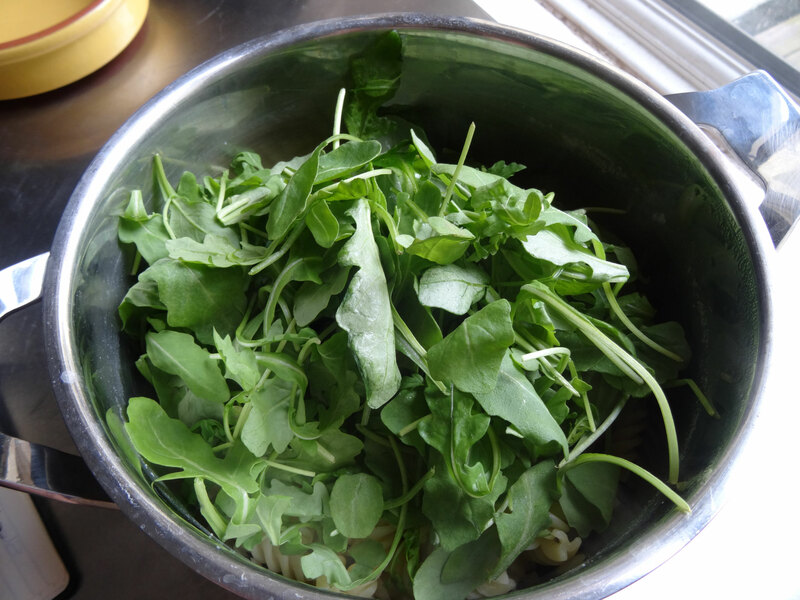 Remove the lid, the rocket will have wilted down & mixed with the pasta. 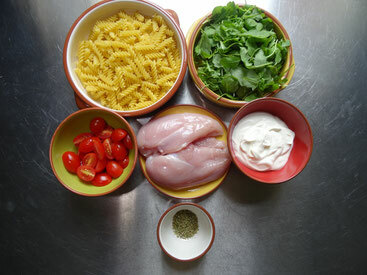 Add the chicken & tomatoes to the pasta along with the crème fraiche. Stir everything together & transfer to a serving dish.